Druid Hills was one of the first neighborhoods in Atlanta and offers beautiful parks, large lots, and tree-lined winding roads. Listed on the National Register of Historic Places, Druid Hills has beautifully restored Victorian, Tudor and Traditional homes from the turn of the century; ranch homes and mid-century modern homes; and new construction homes in the zip code 30306 and 30307. Here are the top 10 reasons we love Druid Hills in Atlanta. Emory University – Emory University is a private university founded in 1836. It ranks among the top 20 research universities and is in the consistently ranked in the top 25 among medical, law and business schools. Emory’s main address is 201 Dowman Drive, Atlanta, Georgia 30322 and borders the northeast corner of Druid Hills. Druid Hills Golf Club – Founded in 1912, the Druid Hills Golf Club is a private club giving members opportunities to play golf, play tennis, swim, work out at the fitness center and dine at one of the three dining rooms. Druid Hills Golf Club is nestled away in the Druid Hills neighborhood at 740 Clifton Road, Atlanta, Georgia, 30307. Schools – Most of Historic Druid Hills residents are zoned for Fernbank Elementary School, Sharmrock Middle School, and Druid Hills High School. Fernbank Elementary and Druid Hills High are both International Baccalaureate Schools. In 2008, Druid Hills High School was chosen as a Georgia School of Excellence. Located in close proximity to Druid Hills is a metro Atlanta top private school, The Paideia School. A non-secular, co-ed school, The Paideia School serves approximately 900 students in pre-kindergarten through 12th grade. Annual Events – Every year, many community events take place in and around Druid Hills. 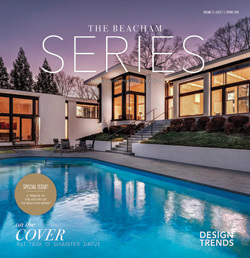 Every spring, the Druid Hills Home & Garden Tour and the Druid Hills Artist Market highlights some of the beautiful homes in the area. Callanwolde Fine Arts Center has events such as a summer Jazz concert series and Christmas at Callanwolde. Fernbank Museum of Natural History offers several events including a Dinosaur Easter Egg Hunt, Martinis and IMAX, and summer camps. Fernbank Museum of Natural History – A museum dedicated to educating people on natural history through permanent exhibitions, temporary exhibitions, and IMAX movies. Permanent exhibitions include Giants of the Mesozoic, A Walk Through Time in Georgia and the new Fernbank NatureQuest. 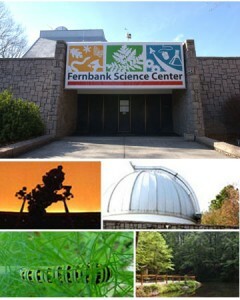 Fernbank is located at 767 Clifton Road, NE in Atlanta, Georgia 30307. Druid Hills Civic Association – Druid Hills residents can pay low voluntary annual dues of $25 to support the Druid Hills Civic Association. Founded in 1938, the Druid Hills Civic Association works to preserve and protect the beauty of Druid Hills. National Register of Historic Places – Druid Hills was envisioned by Joel Hurt in the late 1880s as the “ideal residential suburb”. Mr. Hurt enlisted Frederick Law Olmsted, Sr. as the planner and designer of Druid Hill. Plans were put in to motion in 1905 and was completed in 1936. The historic district of Druids Hills contains 1300 acres and was put on the National Register of Historic Places in two phases in 1975 and 1979. In 1996 DeKalb County designated Druids Hills as a Local Historic District which protects the qualities of Druid Hills. Green Space – Large lots with mature landscaping can be seen from the the tree-lined winding roads through Druid Hills. For residents looking for additional green space, several parks in the area are home to walking paths and playgrounds. Druid Hills residents enjoy Noble Park, Herbert Taylor Park, Olmstead Linear Park, Lullwater Preserve at Emory and Emory Village Park. Callanwolde Fine Arts Center – Listed on the National Register of Historic Places, Callanwolde Fine Arts Center is home to visual, literary and performance arts. Callanwolde offers classes, gallery exhibits, and outreach programs. Located on 12.5 acres of plush landscaping, Callanwolde is a top choice to host weddings and special occasions. 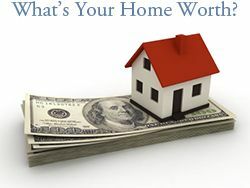 It is located at 980 Briarcliff Road, NE, Atlanta, Georgia, 30306. Check out this video of Callanwolde Fine Arts Center. Location – Minutes from Midtown and Downtown Atlanta, Druids Hills is conveniently located in east Atlanta. 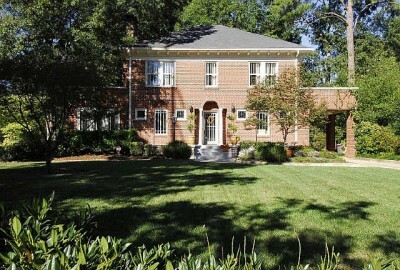 The sought after Druid Hills neighborhood is surrounded by other desirable areas. Decatur, Virginia-Highland, and Candler Park give Druid Hills residents opportunities to take advantage of dining, shopping and parks in the nearby neighborhoods. See map of Druid Hills.